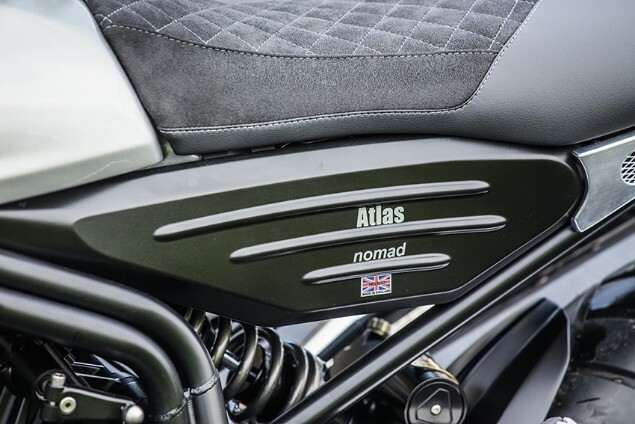 Norton’s modern revival has taken the next step with the unveiling of the new Atlas Ranger and Nomad models which both share a brand-new 650cc parallel-twin engine. Norton has been working on this new engine along side the new 1200cc V4 engine it will use in the V4SS range of superbikes with the parallel-twin 650cc basically forming of half of that bigger engine. 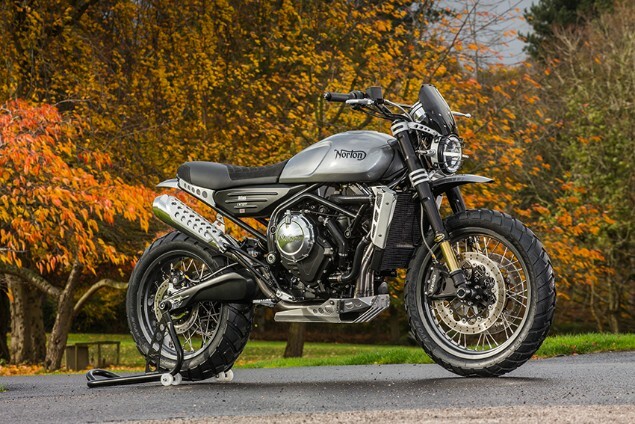 The Norton Atlas Nomad will cost just £9995 and the more off-road focussed Ranger will cost a little extra at £11,995 slotting them in as entry-level bikes in the Norton range. Initially there are going to be 250 models made available with deposits already being taken at the Motorcycle Live show at the NEC in Birmingham as the bikes were revealed to the public for the first time. After the first batch of 250 bikes are released, Norton hopes to produce 2000 per year as production ramps up to full scale. 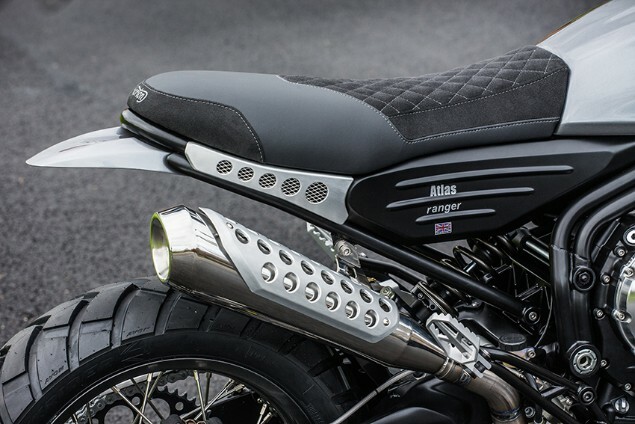 Powering the new Norton Atlas models is a brand-new 650cc, liquid-cooled parallel-twin engine which, Norton claims, produces 84bhp at 11,000rpm which is significantly more power than anything in the class such as the Ducati Scrambler. Peak torque is quoted as 47lb ft and this combines with a low quoted weight figure of 178kg which is significantly less than rivals like the Scrambler. The engine has been designed to offer decent power, a smooth torque curve and suit the bike being ridden off road. Despite being developed at the same time as the V4 engine, hardly any engine components are shared between the two motors as the power characteristics needed were so different. The Ranger model is the more expensive of the two on offer and the extra cost from the higher specification components fitted that will allow it to be ridden in more demanding off-road conditions. Norton has worked hard to give the Ranger that off-road ability with a larger 19in diameter front wheel working with a 17in rear wheel and it also gets longer travel Norton Roadholder suspension with 200m of travel for improved bump absorption and ground clearance. The Nomad has an 18in diameter front wheel and 17in rear and there is a choice of either Avon Trailrider or Trekrider tyres. The Ranger model also gets stronger handlebars, a sump guard and a front mudguard which is mounted higher to allow mud to not clog the front wheel. Both the Nomad and Ranger models share the engine, chassis, swingarm, fuel tank, clocks, switchgear and seat in order to keep development costs down and this is part of the reason you can now buy a Norton for less than £10,000. 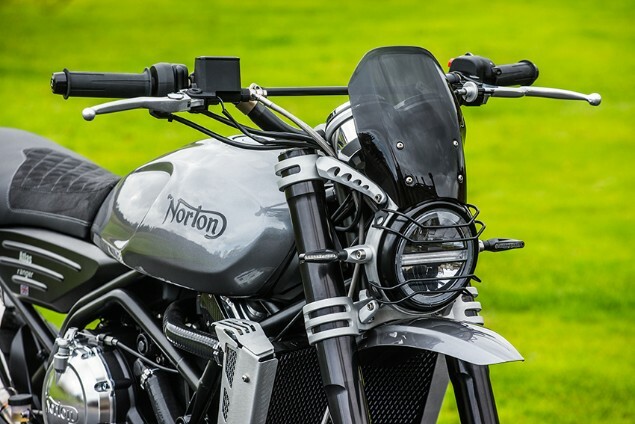 Norton has fitted a steel subframe which, if damaged in an off-road spill, can be bent back into shape unlike a cast aluminium one which would have to be replaced. Orders are being taken now and the first run will see 250 built before the firm starts to build them as a full production run.